Abstracts for the American Society of Clinical Oncology (ASCO) Annual Meeting were released today at 6 pm, ahead of the meeting which will be held May 31 - June 4, 2013 in Chicago, Illinois. Two abstracts featuring AE37 were accepted for poster publication, whith another published in conjunction with the 2013 Annual Meeting, but not presented at the Meeting. While none of the abstracts contain pivotal data, they do illustrate positive trends from studies of AE37 in breast and prostate cancer patients. Background: We are conducting a multicenter randomized phase II trial of AE37, the Ii-Key hybrid peptide of HER2 776-790 (AE36). The purpose of the study is to determine if the AE37 vaccine can prevent recurrence in disease-free conventionally treated node-positive (NP) and high-risk node-negative (NN) breast cancer patients at significant risk for recurrence. Since clinical efficacy is anticipated to occur as the result of long lasting memory immune responses induced by vaccination, repeated booster inoculations were scheduled as part of the trial. Here we present data on immune responses in patients who received boosters up to 24 months after completion of the primary vaccination series (PVS). Methods: The trial is enrolling NP or high-risk NN patients with any degree of HER2 expression (IHC 1-3+ or FISH > 1.2) rendered disease-free following standard of care therapy. The vaccine group (VG) received AE37+GM-CSF and control group (CG) GM-CSF alone in 6 monthly i.d. inoculations followed by boosters administered every 6 months x 4. Immunologic responses were assessed in vivo by dermal reactions at the inoculation site, and in vitro, against the AE36 peptide, with proliferation and IFN-γ ELISPOT assays. Results: 25 patients in the VG and 23 in the CG have completed their boosters. After the last booster (BRC24), 100%, 54% and 54% in the VG (vs. 9%, 18% and 27% in the CG) responded by dermal reaction, proliferation and IFN-γ ELISPOT, respectively. Mean dermal reactions (orthogonal mean in mm) in vaccinated patients was 25.9±3.13 at completion of the PVS (R6) and increased to 35.47±4.35 at BRC24 (p=0.01). VG patients increased their proliferation response (stimulation index, SI) to AE36 from 0.97±0.046 at baseline (R0) before vaccination to 2.27±0.57 at R6 (p=0.0003) which was maintained until BRC24 (SI 2.21±0,33, p<0.0001). The number of IFN-γ specific spots/106 PBMC increased from 26.88±12.36 at R0 to 40.35±17.02 (p=0.07) at R6, up to 62±16.82 (p=0.0076) at BRC24. Conclusions: Our data demonstrate that AE37 vaccine boosters enhance the immune responses against HER elicited during the PVS, thus sustaining long lasting immunity, a prerequisite for possible clinical efficacy which is currently being evaluated. Background: We are monitoring the incidence of delayed urticarial reactions (DURs) in our phase II trial evaluating adjuvant HER2-specific vaccines (AE37 and GP2) for the prevention of breast cancer recurrence. Here, we characterize DURs and analyze risk factors for their development. Methods: After completion of standard of care therapy, disease-free node-positive or high-risk node-negative patients (pts) were randomized to receive either a peptide+GM-CSF (VG) or GM-CSF (CG). Pts receive 6 monthly intradermal inoculations during the primary vaccine series (PVS) then four boosters (B) every 6 mos. Immune response is measured by delayed type hypersensitivity (DTH) pre- (R0) and post-PVS (R6) and local reaction (LR) at R1 – R6. Results: Twenty-four (6.1%) of 393 initiated patients report a DUR; 13 VG (vDUR), and 11 CG (cDUR); vDUR - 9 AE37, 4 GP2. Time to onset of symptoms is 9±5 days (d) and is similar in vDUR/cDUR (p = 0.27). DURs manifest as hives/pruritis in all patients. Average duration of symptoms is 32.6 d ± 8.8 d (no difference in vDUR/cDUR [p = 0.23]). Episodes have resolved with antihistamines or IV/oral steroids. Ten (4 cDUR, 6 vDUR) patients have had recurrent episodes that have resolved similarly. 75% of first episodes occur between R6-B3. For DUR patients v. those who have not had a DUR (noDUR), there are no differences in demographics. DTH response is similar in vDUR pts v. noDUR VG pts (R0- p = 0.34; R6- p=0.40). cDUR pts had a greater DTH response v. CG noDUR pts at R6 (13.2 v 4.7 mm, p=0.01). LRs are greater in DUR pts compared to noDUR pts after the second vaccination (R2 – 66.2 v 48.2 mm, p=0.02). LR for DUR pts decrease and are less than noDUR at R6 (45.4 v 57.4 mm, p=0.09). Relative risk for developing DUR for LR > 100 mm at R2 is 3.49 (1.58-7.68, 95% CI [p=0.004]). At 29.9 months median follow-up, there have been no recurrences in VG and CG DUR v. 75.9% DFS for noDUR (p=0.05). Conclusions: DURs occur infrequently and without long-term sequelae. Pts at risk for developing DUR are identified early in the vaccine series using LR. Robust immune response in DUR may explain the survival benefit demonstrated here. Effect of immunization with Ii-key modified HER2 (776-790) peptide vaccine (AE37) on immunologic responses in prostate cancer patients. Background: We have shown that the AE37 vaccine (Ii-Key modified HER2(776-790) peptide) is safe and induces HER2/neu–specific cellular immune responses in patients with prostate cancer (Perez SA et al Clin. Cancer Res. 2010, 16:3495). We now present data from 4-year immunological assessments of prostate cancer patients who received AE37. Methods: Seventeen patients in a phase I study were given 6 doses of AE37 at monthly intervals and one additional dose a year after initiating treatment. Immunological testing to assess active versus suppressive immunity was conducted one month (intermediate-term immunomonitoring [ITI]) and 3 years (long-term immunomonitoring [LTI]) after the final dose of AE37. ELISPOT and proliferation assays were conducted to assess cytokine secretion and mitogenic response to antigen. DTH reactions were measured to assess in vivo immune response to antigen. All assays were conducted using native HER2(776-790) peptide (AE36). The percent Treg cells and ng/ml TGFβ were determined as markers for immune suppression. Results: Neither ELISPOT nor proliferation assays were statistically different at LTI compared to ITI. While clearly above pre-vaccine responses, the drop in DTH was statistically significant (p < 0.05). Similarly, the increase in Treg cells and circulating TGFβ was also statistically significant. An increase of >200 % in PSA-doubling time at any point during the study was observed in 6/17 patients, with 3 retaining this effect to 5 years. Conclusions: AE37 generates immunological memory associated with possible clinical efficacy in spite of Tregs and TGF-β levels returning at 4 years after being decreased for up to 6 months after initial AE37 vaccination. These results support further randomized testing of the AE37 vaccine. The maximum increase of specific IFN-γ–producing T cells in response to vaccination with AE37, detected by ELISPOT and expressed as mean fold increase from baseline levels, was higher in stage II-III and castrate-sensitive patients compared with stage IV and castrate-resistant patients, respectively, although this difference was not statistically significant. Similarly, DTH responses to the vaccine, determined as the difference of post vac minus baseline DTH, were statistically significantly lower in stage IV patients. In conclusion, the use of the AE37 immunotherapeutic vaccine is a novel strategy for managing patients with prostate cancer. This clinical trial shows that the vaccine is safe and immunologically active. However, proof of clinical benefit will require a phase II trial in a homogeneous group of patients with less extensive disease, including disease-free patients at high risk of recurrence. Therefore, it appears reasonable to assume that results for the Phase I study would be even more positive if the appropriate traget population had been identified, with booster innoculations to prolong the effectiveness of the vaccine. The incease of >200 % in PSA-doubling time at any point during the study for 6/17 patients is remarkable, and since this earlier Phaser I study was initiated Antigen Express has learned much about the vaccine. Booster series have been added to the breast cancer Phase II, with a targeting of lower HER2 expressing early stage subjects. As we can see with the first ASCO abtract, titled "Booster inoculations of the AE37 peptide vaccine enhance immunological responses in a phase II study", Antigen Express is on the right tract in developing AE37. The prostate cancer Phase I illustrates that AE37 stimulates long lasting memory, and the new booster program can help add to the desired effect. The second ASCO abstract,titled "Risk factors for development of delayed urticarial reactions in the phase II trial of HER2 peptide vaccines plus GM-CSF versus GM-CSF alone in high-risk breast cancer patients to prevent recurrence", highlights the strong safety profile of AE37/GM-CSF + booster, so all appears on track, even if these abstracts don't yet outline final results of the ongoing Phase II study in early stage HER2 breast cancer patients, which may be needed to lift GNBT's dreadful stock. Those final results may come later this year. Click on the abstract titles to view the content at ASCO's 3013 Annual Meeting website. Two abstracts pertaining to Antigen Express' AE37 Her2/neu vaccine have been accepted for poster presentations at the 2013 American Society of Clinical Oncology ("ASCO") Annual Meeting. The annual ASCO meeting is being held in Chicago, Illinois from May 31 through June 4, 2013. Booster inoculations of the AE37 peptide vaccine enhance immunological responses in a phase II study. Risk factors for development of delayed urticarial reactions in the phase II trial of HER2 peptide vaccines plus GM-CSF versus GM-CSF alone in high-risk breast cancer patients to prevent recurrence. The iplanner is available for review here. Last week, we announced that our partner in India, Shreya Life Sciences, has completed it’s phase three trial of General Oral-lyn in patients with type II diabetes and submitted the results to the Indian government with a view to securing approval for the marketing of the product. I will now ask Dr. Anderson to comment on this positive development and it’s impact on our own plans for Generex Oral-lyn in the clinical and regulatory sphere. Dr. Anderson? Thank you, Mr. Fletcher. Good morning, I will address three topics today with regard to Generex Oral-lyn buccal insulin spray product program. First, a review of trial O84, part of which was discussed at a prior AGM, second, the completion and regulatory submission of the Oral-lyn phase three study in India and the partnership of Generex and Shreya Pharmaceutical to produce, distribute, market Oral-lyn in India, thirdly, the planned improvements in the Oral-lyn formulation for global registration will be discussed. Previously, I’ve provided data on patients who had completed the O84 clinical trial, a six month trial with a six month extension comparing Oral-lyn to injected regular insulin in patients with type I diabetes. You will recall that in that patient segment of completers, as measured by hemoglobin A1C, the metabolic control achieved with Oral-lyn was equivalent to the control of patients randomized to injected regular insulin. For a number of significant reasons, the data from the O84 trial was re-examined, re-analyzed and the final report re-written. While the positive data from the small group of completers did not change appreciably, the trial as a whole did not meet the primary objective of showing non-inferiority of Oral-lyn to injected regular insulin. Although the study did yield some useful information, why did the study fail to meet the primary objective? The major reason was that two-thirds of the subjects randomized to receive Oral-lyn failed to complete the study. The majority of those patients who dropped out did so during the first one to three weeks of therapy. While a few study sites were in the U.S. and Canada, the majority were in Eastern Europe, in the new republics of the former Soviet Union. More than two-thirds of the patients enrolled in the study were given educational instructional materials not in their native languages. As importantly, two-thirds of the physicians and healthcare professionals did not have complete material in their native language. We believe that this was the flaw that resulted in a lack of understanding of how to use Oral-lyn correctly which produced an excessive dropout rate that led to not achieving the primary objective. For this study, the pre-specified non-inferiority margin was 0.50 percent. The 90 percent confidence interval, which is that range of values to finding a difference between two parameters, was calculated to be 0.24 percent to 0.53 percent. Since the 0.50 non-inferiority margin is in between the upper and lower values of the confidence interval, the study was not able to show that Generex Oral-lyn was non-inferior, that is equal to, the injected human insulin. The extremely low number of patients completing that trial directly affected the values of the confidence interval, but even with that huge dropout, the upper limit of the 90 percent confidence interval was very close to the pre-specified non-inferiority margin of 0.50 percent. The study almost was successful. In sharp contrast, the phase three trial conducted in India, a Shreya Life Sciences, was an excellent example of the way a trial should be conducted. This study, 12 week parallel controlled study comparing Oral-lyn to injected rapid insulin in patients with type II diabetes, was conducted at 14 sites in India with 209 patients put on drug. The educational materials and the informed consents were translated into nine different languages so that each individual participant and his or her representatives could read the information in a language in which they were conversant and comfortable. In this study, only 11 of the 209 subjects, five percent, dropped out of the trial. While a manuscript of the full trial results has been submitted to an international journal of clinical diabetes and thus the detailed results are embargoed until publication, I can share that there was a statistically significant improvement in the hemoglobin A1C of those patients randomized to Oral-lyn compared to injected insulin and that the statistically significant improvement in metabolic control occurred much more rapidly in the Oral-lyn treated group than in the injected insulin group. Shreya Life Sciences and their investigator are excited about the results and so are we. The results of that trial were also submitted to the drug controller general of India, the Indian regulatory authority, in December of 2012 as part of the dossier to gain final approval for marketing in India. We are extremely pleased to announce that Shreya anticipates approval for the sale of Oral Recosulin, which is their trademark for Oral-lyn in India, within mid 2013. In the country of India, the International Diabetes Federation has estimated there are over 50 million people with diabetes mellitus. Generex is currently working with Shreya to transfer the technology to facilitate the local manufacturing of Oral-lyn to global standards to ensure continuous product availability. We are also working with Shreya in the planning and design of patient and professional educational materials, product launch materials and sales and marketing strategies. Now I’d like to address the planned improvements in Generex Oral-lyn. A review was conducted last year with insulin formulation chemists, clinical diabetologists and diabetes sales and marketing leaders. The new techniques in protein chemistry and pharmaceutical formulation science suggested that with minimal changes in the production process and contents of the components, we could improve Oral-lyn less increasing the convenience, compliance and safety for patients by producing a more concentrated Oral-lyn formulation that would allow dosing in the average patient to be reduced to fewer sprays. We have developed a clear and complete plan for identifying the modifications to the Oral-lyn formulation and rapid mist delivery device to ensure two to three international units of bio available insulin per spray. Our new program encompasses a pharmaco kinetic and gluco dynamic trial design and clinical study plan for conducting trials with appropriately validated methodology. These short studies will demonstrate the integrity and bio viability of the insulin formulation delivered by the device, assess the pharmaco kinetics using validated methodology and appropriately designed clinical models, confirm the bio availability of the delivery insulin and assess the gluco dynamic response in fasted, post meal and (inaudible) clinical models. Our planned final phase three trial required by the USFDA for registration will examine the reproducibility and intrasubject variability both short term and over the duration of the study. 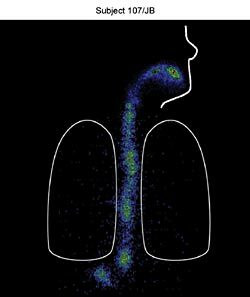 We will also assess intrinsic and extrinsic factors that could affect absorption such as pharyngeal infections, smoking and vascular medications. These studies will also provide data demonstrating the ability of Oral-lyn to achieve metabolic results that are not possible with subcutaneous injected insulins, even with the rapid acting insulin analogs available today. This will allow our marketing partners to justify any potential price premium over injected insulin and help ensure a more rapid uptake of view in the medical community. The obvious question that many of you may be asking right now is, “Why are you changing the formulation if the current formulation is good enough to sell in India?” I’m not going to immediately defer to the bandwagon of blaming all of our ill on Coca-Cola, McDonald’s and the Ford Motor Company, but an unpleasant reality of western civilization is that we are more obese than our Asian brethren. With our increased weight, our mealtime insulin doses are also higher, frequently in the range of double or more. So while the less obese and better exercised patients in India can easily use the current formulation of Oral-lyn, a stronger formulation is required for the average patient in North America. Since we anticipate that obesity will continue to become a more prevalent worldwide, we are already in discussions with our partner, Shreya, for future production and sales of the improved Oral-lyn formulation in India and other global markets as well. In summary, we’re quite excited and pleased with the progress we have made with Generex Oral-lyn over the last six months. Conduct of correctly designed and well-implemented clinical studies continue to demonstrate the validity and efficacy of the Oral-lyn product and the platform. The anticipated approval, launch and sales of Oral-lyn in one of the largest populations of diabetes mellitus in the world signifies the new milestone in the successful reorganization of Generex Biotechnology. While the Oral-lyn reformulation, clinical study work and final FDA submission are dependent upon adequate and appropriately timed funding and partnering to meet timeline goals, we are confident that we are now moving forward in the right direction both for Generex and for its investors. Thank you and I look forward to our next opportunity to inform you of the additional new programs in diabetes detection, diagnosis, therapy and prevention that are in development in the Generex pipeline. The following article was written by Joe Munch, and published in MD Anderson's OncoLog. Please click HERE to view this article at OncoLog. Click HERE to view the virtual presentation for Oral-lyn treatment with IGT subjects given by Dr Andreea Soare from Italy's University Campus Bio Medico at the 48th EASD Annual Meeting on October 3rd, 2012 in Berlin, Germany. Currently, Oral-lyn is being reformulated by Generex to increase the potency to allow most patients to be treated with just two to four sprays at mealtimes (instead of 10 to 20 used in past trials). This is a very positive report, and obviously beneficial effect would be lost six months after treatment was discontinued. CHICAGO, Oct. 3, 2012 – Yesterday U.S. Army surgeons exhibited new research findings at the American College of Surgeons Clinical Congress. The poster presentation titled, "Assessment of Disease Features and Immune Response in Breast Cancer Patients with Recurrence after Receiving AE37, a HER2 Peptide Vaccine," outlined outcomes of injecting AE37, a HER-2 derived vaccine, in breast cancer survivors following completion of standard therapy. Those who received injections of AE37 were more likely to survive disease-free than the control group. Meanwhile, the poster presentation titled, "A NSQIP Evaluation of Practice Patterns and Outcomes Following Surgery for Anorectal Abscess and Fistula in Patients with and without Crohn's Disease," showed patients with Crohn's Disease (CD) – a form of inflammatory bowel disease – had more aggressive anorectal abscess and fistula disease and suffered more complications following emergency surgery than patients who did not have CD. The poster "Assessment of Disease Features and Immune Response in Breast Cancer Patients with Recurrence after Receiving AE37, a HER2 Peptide Vaccine," showed after completing standard treatment, breast cancer survivors who received injections of AE37 with granulocyte-macrophage colony-stimulating factor (GM-CSF) – an immune stimulant – were more likely to survive five years disease-free than a control group that received GM-CSF alone. AE37 works by stimulating the immune system to recognize and target for destruction a protein called HER2 that is expressed at some level by most breast cancer cells. While AE37 did not prevent recurrence in all patients, it provoked an immunologic response in patients across the board, including survivors at high risk of recurrence, those with the hard-to-treat "triple negative" form of breast cancer and those with lower levels of HER2 expression. "Patients with a lower level of expressed HER2 protein, who wouldn't be eligible for the HER2-binding antibody, trastuzumab (Herceptin), had a survival rate of more than 88 percent, compared to 70 percent in the control group," said U.S. Army Capt. John Berry, MD, a research associate. "The vaccine may have benefited patients with less aggressive cancers." Study director Col. George E. Peoples, M.D., explained how the Cancer Vaccine Development Program differs from other groups investigating cancer vaccines. "Our program was one of the first to enroll cancer survivors with healthy immune systems rather than focus on people with end-stage, metastatic cancer. Our goal is to increase health and survivorship in this group, including specifically those with a high risk of cancer recurrence." This study is part of an ongoing prospective, multi-center, randomized, single-blinded phase IIb adjuvant therapy trial. AE37 was co-developed by the Cancer Vaccine Development Program, housed at Brooke Army Medical Center in San Antonio, Texas. Capt. Diane F. Hale, M.D., Sonia Perez, Ph.D., Capt. Timothy Vreeland, M.D., Capt. Dabney Raetasha, M.D., Michael Papamichail, M.D., Ph.D., Maj. Guy T. Clifton, M.D., Capt. Alan Sears, M.D., Sathibalan Ponniah Ph.D., and Elizabeth A. Mittendorf, M.D., FACS, also participated in the study. I'm someone so clumsy that I'd be better off throwing an apple at an arrow, as opposed to an attempt at shooting an arrow at an apple. There's a better chance that I'd shoot the arrow at my foot, or straight up in the air, so I'd only split my head. The wiser move is to simply eat the apple, and forget the arrow. Generex, and their wholly owned subsidiary Antigen Express, appear equally clumsy when it comes to writing press releases detailing the latest data that researchers are presenting for their novel AE37 HER2/neu peptide vaccine. I'm joking a bit, so I hope the good folks at Generex have a sense of humor. Yet, their follies in this area are true. While the study showed an overall reduction of 42% in the risk of relapse in all patients of the study who received the vaccine, the reduction in the risk of relapse was 66% in patients with low expression of the HER2 oncoprotein who were classified as having triple negative breast cancer. "After a median follow-up of 22.3 months, the disease-free survival (DFS) rate in the VG is 90.3% vs 81.1% in the CG (p=.46), a 49% risk reduction." "The DFS rate in the VG of TNBC patients is 83.3% vs 47.6% in the CG (p=.23), a 68% risk reduction." Generex reports that there was a 42% risk reduction for relapse in all patients who received the vaccine (VG) in the latest interim look at the ongoing study, but the true risk reduction as stated in the abstract is 49%. Generex also reports that there was a 66% risk reduction for relapse in subjects classified as having triple negative breast cancer (TNBC), but the true risk reduction as stated in the abstract is 68%. Here's a link to the press release, and a link to the abstract. With a median follow-up of 22 months in breast cancer patients, Kaplan Meier projections estimate recurrence rates of 10% in vaccinated patients versus 17% in the control group, a risk reduction of 41%. Generex reported that there was a 41% risk reduction for relapse in all patients who received the vaccine up to that time period, with recurrence rates of 10% in the AE37 group vs. 17% in the control group. Dr Vreeland actually reported a 43% risk reduction, with a relapse rate of 10.3% in the AE37 group vs. 18% in the control group. Here's a link to Generex's press release from June, and a link to the actual abstract. WORCESTER, Mass., Dec 15, 2009 (GlobeNewswire via COMTEX News Network) -- On December 14, 2009, Generex Biotechnology Corporation (Nasdaq:GNBT) (www.generex.com) issued a press release announcing the presentation of interim results from a Phase II efficacy study of a novel immunotherapeutic vaccine being developed by its wholly-owned subsidiary, Antigen Express, Inc. (www.antigenexpress.com), at the 32nd Annual San Antonio Breast Cancer Symposium (www.sabcs.org). That press release stated that "only half the number of patients in the treatment arm of the study relapsed compared to those not receiving the vaccine," and that "the results presented at the conference were those observed in patients 13.5 months after treatment." Those statements were incorrect. In fact, as COL George Peoples, MD reported to the symposium, at a median follow-up of 13 months, there were NO relapses in patients receiving the AE37 immunotherapeutic vaccine for breast cancer (0 of 49 patients) while relapses were observed in the control group (5 of 71 patients). The ultimate goal of the study is to demonstrate that, after a follow-up period of 24 months, the relapse rate in the AE37 group of the study is less than half the relapse rate in the control group. The interim results of this study reported by COL Peoples clearly show that the study is on track to achieve that positive endpoint. Putting 2009 aside, if we just went with the recent information provided by Generex's press releases, we would assess that the study is going well, with a risk reduction of relapse for all subjects staying relatively even, improving from 41% to 42%, as additional subjects are enrolled into the study. From the abstracts, we can see that the risk reduction was factored at a higher 43% in June, and has since improved to 49%. What's the difference between a 42% risk reduction in relapse vs. 49%? The difference is an extra few early stage breast cancer patients who are participants in this remarkable study that will continue to lead healthy lives, all because Generex and Antigen Express have done an extraordinary job in creating a revolutionary cancer vaccine, even if they struggle with media relations. Generex and Antigen Express may trip on a pebble, such as writing a press release, yet they appear ready to move what was thought to be the toughest of all mountains, CURING CANCER! Early Efficacy Analysis of the AE37 Vaccine in Patients with HER2 Low-Expressing and Triple-Negative Breast Cancer. Background: Peptide vaccines comprised of HLA class II epitopes, which elicit CD4+ T cell responses, play a critical role in potentiating immune responses. We are conducting a randomized phase II trial of AE37, a hybrid peptide created by the addition of the Ii-Key moiety (LRMK) to the HER2 helper epitope, AE36 (HER2 aa776-790). Here, we present efficacy data focusing on outcomes in patients with low HER2 (IHC 1+ or 2+) expression and triple negative breast cancer (TNBC). Methods: The trial is enrolling node positive or high risk node negative breast cancer patients with any degree of HER2 expression (IHC 1+, 2+ or 3+ or FISH > 1.2) rendered disease-free following standard of care therapy. Patients are randomized to receive either AE37+GM-CSF or GM-CSF alone in 6 monthly intradermal inoculations followed by booster inoculations administered every 6 months. Results: The trial has enrolled 254 patients; 105 in the vaccine group (VG) and 149 in the control group (CG). After a median follow-up of 22.3 months, the disease-free survival (DFS) rate in the VG is 90.3% vs 81.1% in the CG (p=.46), a 49% risk reduction. Evaluating patients with low HER2 expression (IHC 1+ or 2+), there are 53 VG patients and 77 CG patients. The groups are well-matched with respect to the percentage of patients with high grade tumors, tumors > 2cm, the rate of node positivity and ER/PR status (all p>.5). The DFS rate in the VG of low HER2 expressers is 89.8% vs 68.2% in the CG (p=.12), a 68% risk reduction. When limiting analyses to patients with TNBC (ER/PR negative, HER2 1+ or 2+), there are 13 VG patients and 23 CG patients. The groups are again well-matched with the exception of control patients having a larger percentage of tumors > 2 cm (70% vs 31%; p=.02). The DFS rate in the VG of TNBC patients is 83.3% vs 47.6% in the CG (p=.23), a 68% risk reduction. Conclusions: Early analyses suggest clinical benefit to vaccination with AE37, particularly in patients with low HER2-expressing tumors. Importantly, the benefit appears to persist in TNBC patients. Patients will continue to be followed per protocol for 5 years; however, these data suggest that a subsequent phase III trial should evaluate the vaccine in patients with low HER2-expressing disease to include TNBC. These negative results mean that the growth of the cancer is not supported by the hormones estrogen and progesterone, nor by the presence of too many HER2 receptors. Therefore, triple-negative breast cancer does not respond to hormonal therapy (such as tamoxifen or aromatase inhibitors) or therapies that target HER2 receptors, such as Herceptin (chemical name: trastuzumab). However, other medicines can be used to treat triple-negative breast cancer. About 10-20% of breast cancers — more than one out of every 10 — are found to be triple-negative. For doctors and researchers, there is intense interest in finding new medications that can treat this kind of breast cancer. Early studies are trying to find out whether certain medications can interfere with the processes that cause triple-negative breast cancer to grow. triple negative breast cancer tumors are also classified into four stages on the basis of size and lymph-node involvement. Stage I means that the tumor is less than 2 cm in size and there is no lymph node involvement. Stages II and III indicate larger size and degrees of lymph node involvement. Stage IV means that metastasis has already occurred. With this in mind, it appears that the majority of triple negative subjects in the control group have Stage II tumors, while the majority of triple negative subjects in the vaccine group have Stage I tumors. The difference is noted by the authors of the abstract as being statistically significant, p=.02. For an optimum comparison, the groupings in a planned Phase III study will need to more evenly matched. However, all of that aside, the results for triple negative subjects within the AE37 arm of the study are quite promising. These subjects have a disease free survival rate of 83.3% at 23.3 months, and the first 24 months appear to be the most critical. triple-negative breast cancer is clearly a distinct subtype, from the perspective of both ER and HER-2, and there may yet be further distinct subclassifications. This disease presentation clearly represents an important clinical challenge. Triple-negative breast cancer is also a surrogate of basal-like breast cancer. Therefore, trials designed to accrue patients with basal-like breast cancer using ER/PR and HER-2 negativity provide an approximation of the triple-negative population, but, as described in the introduction, there is some discordance, including some HER-2 positives and some ER positives among the basals. At present, there is not a clear, proven effective single agent that targets a driving vulnerability in triple-negative breast cancer. However, there are a number of potential therapies currently under investigation that may eventually improve outcomes in these patients. WebMD estimates that between 10 - 17% of cancers are triple negative. Previous reports estimated that approximately 80% of breast cancer patients could be treated with AE37 if the vaccine gains approval by the FDA. In this estimate, they appeared to be noting subjects that are low and high expressors of HER2/neu. We now see the researchers adding triple negative subjects to their Phase III plannings, and this certainly is a positive development for Generex and Antigen Express. 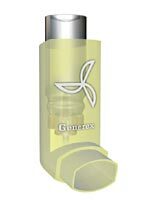 Currently, Generex's shareholders are waiting to hear an update on the long planned spin out of Antigen Express. Such an update is long overdue, and until then any plans for a Phase III appear to be in a state of limbo. Hopefully, the continued positive results for AE37 bring Generex much needed momentum in their spinout plans for Antigen Express. One other quick note- during the ASCO Annual Meeting held in June, the researchers noted that they "have enrolled 201 patients to our phase II trial (Vaccine (VG)=103, Control (CG)=98)." This new abstract notes that they have "enrolled 254 patients; 105 in the vaccine group (VG) and 149 in the control group (CG)." The new abstract shows results at 23.3 months, and the June abstract shows results at 22 months. In this update, only 4 subjects have been added to the AE37 arm, while 51 have been added to the control group. Overall, this is the largest controlled study for a peptide based vaccine to treat breast cancer in the adjuvant setting. As Generex's stock continues to decline, their AE37 breast cancer vaccine continues to shine. At some point, AE37 should have a long lasting positive effect on shares of GNBT, while the more important goal is to cure early stage breast cancer. 1University campus Bio medico, Roma, Italy, 2Hospital "S.Pertini", Roma, Italy. Abstract: Background and aims: subjects who develop type 2 diabetes (TD2) pass through a phase of impaired glucose tolerance (IGT). Defects in the action or secretion of insulin are the two major abnormalities leading to development of glucose intolerance. Resistance to insulin progressively increases when passing from normal glucose tolerance through IGT to diabetes, whereas secretion of insulin gradually decreases. Glucose tolerance is assumed to remain normal as long as the beta cell secretion can compensate for insulin resistance. IGT will develop only when insulin secretion fails to compensate fully for such resistance, resulting in postprandial hyperglycaemia that is linked to an increased risk for cardiovascular disease even though there is no progression to diabetes. Many intervention trials have been conducted in IGT patients but only one aimed to decrease post prandial hyperglycaemia. Our previous proof of concept study in subjects with IGT undergoing a prolonged OGTT demonstrated that treatment with 12 puffs of buccal spray insulin was followed by a significant 29.6% decrease in mean plasma glucose at two-hours and a 26.8% decrease at three-hours. Based on these findings a short trial with buccul spray insulin was planed. Materials and methods: We have designed a randomized controlled trial in patients with IGT comparing a 6 months duration therapy using buccal spray insulin (12 puffs per meal) plus physical exercise and diet (treatment group A, n=16, HbA1c at entry 6.2% + 0.4) vs physical exercise and diet only (control group B, n=16, HbA1c at entry 6.0% + 0.3). Primary endpoint of this study is the reduction of HbA1c of 0.3 % at 6 month treatment between experimental versus control group. Secondary endpoints include the evaluation of antibodies against insulin (IA), changes in body weight, number of hypoglycaemic events during the treatment period and the evaluation of metabolic control at 6 months after the end of the treatment. HbA1c levels, metabolic parameters and insulin antibodies were measured at baseline, at 3 months up to 6 months followed by 6 months wash out. Results: Subjects treated with buccal spray insulin achieved a significant reduction of HbA1c compared to the control group ([[unable to display character: ∆]] HbA1c 0’- 6 months -0.3% vs +0.09% p= 0.002). At 6 months after the end of treatment, in group A HbA1c levels raised from 5.8 % + 0.3 to 6.1 + 0.5 resulting in loss of previous achieved improvement of metabolic control and 19% of the treated patients developed TD2 ( vs 6% in the control group). There was no significant difference in body weight and no hypoglycaemic or other adverse events were observed during the study period in both groups. No generation of IA was observed in subjects with IGT treated with buccal spray insulin. Conclusion: These results indicate that buccal spray insulin is an effective treatment compared to diet + physical exercise in patients with IGT in reducing HbA1c without adverse effects. However the beneficial effects of buccul spray insulin is lost within few months of suspension of treatment. A larger trial is required to demonstrate the long term effects of this buccul spray insulin in preventing TD2 in subjects with IGT. This is the oddest study abstract that I have ever read. If the investigator substitutes Oral-lyn with any other prandial insulin, or another glucose lowering drug, the study will illustrate that beneficial effects of the insulin or drug is lost within a few hours after discontinuation of treatment, never mind six months later. Women with a history of HER2-positive breast cancer show lower rates of relapse after inoculation. A novel hybrid vaccine reduced recurrence rates in patients with HER2-positive breast cancer by 43% after 22 months in early results of a phase IIb randomized clinical trial. Of 201 patients rendered disease free by standard treatment, those who received the vaccination had a recurrence rate of about 10.3% compared to 18% in the control group. “We need to continue to follow these patients, but there is enough of a trend that a phase III trial is warranted,” says Elizabeth Mittendorf, MD, a surgical oncologist at MD Anderson Cancer Center in Houston and the trial's national principal investigator. 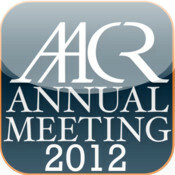 The results will be presented June 4 at the 2012 Annual Meeting of the American Society of Clinical Oncology. Antigen Express of Worcester, MA, the company producing the vaccine and a partial funder of the trial, plans to follow up with a phase III study. The vaccine teaches CD4+ T-helper cells, immune cells that are critical in mounting a response against foreign invaders, to recognize the HER2 protein, which is expressed at some level in 75% to 80% of breast cancer tumors. The vaccine's hybrid design combines a fragment of HER2 with a novel peptide based on the immune-regulatory li protein that, in laboratory tests, was found to enhance the potency of the vaccine 250-fold. Because the vaccine is effective in tumors with any level of HER2 expression, it may aid patients who are not eligible for targeted therapy with Herceptin (trastuzumab; Genentech) because their tumor HER2 levels are too low. If it is eventually approved, the vaccine could be delivered in any physician's office. The ongoing trial included monthly injections for 6 months followed by boosters every 6 months for 3 years. To heighten immune response, the vaccine was paired with an immune stimulant known as granulocyte macrophage colony-stimulating factor, which was also given to patients in the control arm of the trial. The trial targets women who are disease free after standard-of-care treatment rather than those with metastatic disease, because the vaccine was not likely to overcome aggressive and invasive tumors. “It's a paradigm shift in trial design for cancer vaccines,” says Mittendorf, who is now developing a trial giving the vaccine with chemotherapy prior to surgery to test whether inoculation during immune system reconstitution improves outcomes.